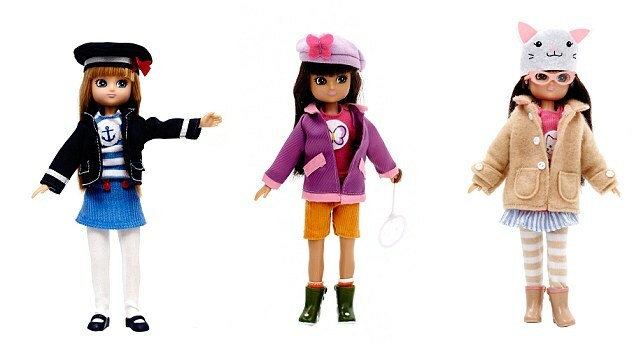 A range of dolls have been created to defy gender stereotypes and encourage girls to be adventurous, inquisitive and sporty. Lottie is billed as a ‘fashion doll with a difference’ because – unlike a Barbie doll which has an impossibly slim figure – Lottie has been designed to look and dress like a child. She has the body shape of a young girl and does not wear make-up or high heels. The toy, aimed at three-to-nine-year-olds, was the brainchild of Lucie Follett and Ian Harkin who have developed the idea with their Ireland-based toy company, Arklu. Campaigners such as Let Toys Will Be Toys have highlighted recently how toys have become increasingly gender specific – with girls’ products often pink and centred on being a princess or domestic goddess while boys’ toys are blue and encourage them to be scientific, sporty and macho. After conducting market research, Arklu found more than half of parents polled believed that toys influence children in their future lives with respect to their education, careers and lifestyle choices. As a result, 92 per cent felt toys can contribute towards breaking the gender divide and 93 per cent felt it was important that toys help to empower girls in a fun and educational manner. 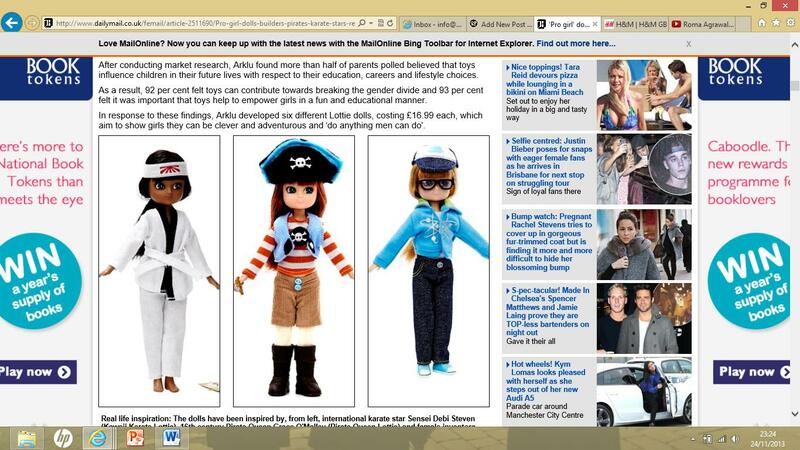 In response to these findings, Arklu developed six different Lottie dolls, costing £16.99 each, which aim to show girls they can be clever and adventurous and ‘do anything men can do’. Some of the range has been inspired by real life heroines, such as Pirate Queen Lottie, who is based on Grace O’Malley. She was dubbed the Pirate Queen during her lifetime in 16th century Ireland. She rejected the traditional role women were supposed to fall into for a life as a warrior on the high seas and once met with Queen Elizabeth I. An accessories set can be bought for Pirate Queen Lottie that comes with silver coins, a treasure map and collector cards highlighting key events in O’Malley’s life, giving girls a chance to learn about history as they play. Meanwhile Robot Girl Lottie and the Busy Lizzie Robot encourages girls to be scientific and inventive. She was inspired by the story of Allie Weber, an eight-year-old from the U.S. who tried to create a robot from recycled household items for her school science fair, as well as high flying female scientist and inventors such as Erin Kennedy and Kathy Ceceri. There’s also Kawaii Karate Lottie who is a fan of marital arts and encourages girls to be active and bold. 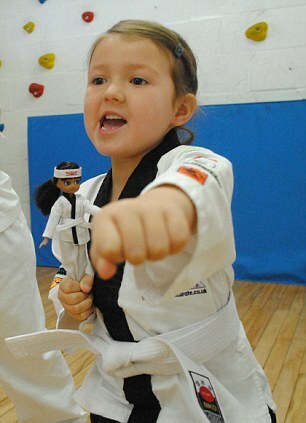 She was inspired by Sensei Debi Steven, founder of PeeWee Karate in London. Originally from South Africa, Sensei Debi represented the Springbok ‘all styles’ karate team internationally and founded a ground-breaking initiative to deliver free self-defence classes to underprivileged women and girls in India. Collector cards for the doll demonstrate karate stances for beginners that children can try. Butterfly Protector Lottie celebrates science and conservation while Pony Flag Race Lottie is competitive and loves the challenge of racing on her beloved horse. The dolls were first launched in August 2012 with the motto ‘Be Bold, Be Brave, Be You’ and have received praise from parents and campaigners.